I'm a little befuddled, tbh. I think Morozov got the ice time he deserved. It's a bit of a stretch to blame our prospect development. Morozov played on a line with Jagr and Francis in his rookie season and later got the opportunity to be Mario's wing. He failed miserably. In any case, since this draft is about accomplishments and not potential there is no way you can convince me that Morozov is a good value pick. I feel I need to apologize to Rylan for this rant. No offense, bro. How many 2 time 50 pt getters are still available though? He was hardly ever in the penalty box. The man could play hockey when he was given the opportunity to play hockey. He was held back by the Pens and he still had 2 50 pt seasons in an era where scoring was down. Held back? I'm not sure about that. I think he was given protected minutes because they didn't believe/trust him to be a strong ES player. Man is definitely talented, but a massive, massive underachiever. Gaucho wrote: I'm a little befuddled, tbh. I think Morozov got the ice time he deserved. It's a bit of a stretch to blame our prospect development. Morozov played on a line with Jagr and Francis in his rookie season and later got the opportunity to be Mario's wing. He failed miserably. In any case, since this draft is about accomplishments and not potential there is no way you can convince me that Morozov is a good value pick. Pittsburgh Post-Gazette - Oct. 21, 2000 wrote: After three seasons of underachieving, Aleksey Morozov finally seemed primed to make a move toward stardom, or at least toward contributing consistently. The Penguins' right winger added some much-needed muscle over the summer, then dominated the pre-season by tallying three goals and six assists in seven games to lead the club in scoring. The Penguins' first-round draft choice in 1995, Morozov was widely hailed as the best hockey player not in the NHL until he arrived in Pittsburgh in 1997. Since then, however, he hasn't done better than 31 points in a season. That appeared ready to change. Morozov, 23, absolutely sparkled in the exhibition campaign. He used his new-found strength to win battles along the boards. He skated with a confidence he had never before displayed. He made plays with passion instead of handling the puck like it was a hand grenade. But Morozov has done nothing since the regular season started. Sadly, it's not the young Russian's fault. In an inexplicable coaching maneuver, bench boss Ivan Hlinka chose to break Morozov's momentum by not playing him for even one shift in the team's opener and has used him as a fourth-liner since. Morozov has zero points. His confidence seems shot. Rylan wrote: How many 2 time 50 pt getters are still available though? Dan Quinn is still available, he was a point-per-game player for the Pens. He was also inconistent, lazy as hell, and didn't care to play any defense. My point being points aren't everything, but you knew that already. Morozov wasn't lazy, he simply didn't know how to work hard and effectively play in the corners. Worse: he seemed to be downright afraid to go in the corners sometimes. Of course he didn't spend much time in the penalty box, he'd actually have to use his body to end up there. I was mega-excited before the 97-98 season, because I thought Morozov was our next superstar in the making. He certainly had the talent, but he lacked pretty much everything else. Maybe he was ill-prepared for the North American game and maybe that's in part on our prospect development. The fact remains that when all was said and done he was one of the biggest disappointments in the history of the Penguins. Again, this draft is not supposed to be about what might have been. I'd really be curious to know what other posters make of this... case. I do not hate Morozov, but I know that several people do. With a passion. Last edited by Gaucho on Mon Dec 17, 2012 5:56 pm, edited 1 time in total. Rick Tocchet and Matt Barnaby (I name him because I highly doubt anyone would waste a pick on him) were tweeting that Tocchet said something to Morozov in the 2000 playoffs (Flyers series) and Morozov was scared ****less and told Barnaby to tell Tocchet that he was afraid/didn't want to start anything. The Naslund trade, btw, didn't look nearly as bad when it actually happened. Not that it made a lot of sense then, because Naslund was showing some promise playing on Mario's wing, but I don't think many people expected him to develop into a Hart candidate. Well, it will certainly require some seriously creative number-crunching (and a total memory loss on my part) to make Morozov appear like a useful player. This thread has been interesting to say the least - fun read. Kudos to those involved. Not sure of the level of the reasoning behind him not reaching his potential but it was constantly strange to say the least how he was used. He was briefly put on Jagrs wing at some point but he was a much better RW (and by briefly I mean a handful of games). He was out of place, the coaches never seemed to like him because he wasnt a banger, which was ironic because he played on lines and in roles that required grit. Not everyone has that role, which is why teams put together actual teams, not individual talent. AM started to briefly fit in as a 2nd line RW in 98 and then the Pens traded for AK27. Once that trade was made he started playing in a 3rd line role with the likes of our mediocre 3rd line centers for the late 90's and early 2000's. The coaches also liked how Rob Brown played the low post on the 2nd PP unit therefore cutting about every positive attribute of his game out of his playing time? In 2002 or 03 the league went on a non clutch and grab tear to start the season. Morozov played with Mario for the beginning of that season and believe it or not was among the league leaders through about 20 games, but got hurt (and then the league drifted back into a clutch nightmare). I understand he was playing with Mario - but not many players were able to be a point per game during those times and he was - even if just for a 1/4 of a season. The lack of the team putting him a role he could succeed in (3rd - 4th line type duties in the playoffs, him failing and it seemed always being benched) were a huge issue with me over the years. I think people expected him to be a 90 - 100 point guy. What he was in my mind (if played in the right role), a very good 2nd line RW with PP depth potential. I think if played right he was a 60 point guy. Nothing wrong with that. Again, maybe he never would have 100% panned out, but I dont think playing mostly on a line with (ill give these 2 names after your draft) as his center was very fair either. For the sake of comparison, since these guys have been drafted or are not eligible (as far as I can tell) for your draft, and how decent his final season here was - following are the Pens top scorers from that season, he got some solid top pairing playing time and performed well, even with poor line mates, not saying its a given, but I imagine he would have been a decent player in the correct role based on his final 3 seasons with us. Just for fun (I realize this is not scientific). But if you take his last 3 years here which is not that small of a sample size, and his points per game during that time frame - and match it up against the number of games played, he would easily be a top 20 player statistically. I dont think its unrealistic to say he wasnt used correctly. Last edited by BurghersAndDogsSports on Mon Dec 17, 2012 7:09 pm, edited 4 times in total. Yeah, I was wrong about Morozov playing with Jagr and Francis. Iirc it was Barnes for most of the year. Gaucho wrote: Yeah, I was wrong about Morozov playing with Jagr and Francis. Iirc it was Barnes for most of the year. in general you were right though, at some point they experimented with him and Jagr together. Maybe it was preseason. But it did happen. Gotta make my picks quick here. Work is just killing me this week again. Defensive D-Man that rounds out my top 6. Huge presence on my 4th line. Gives my team some needed sandpaper. Smallish but speedy defensive specialist, excellent penalty killer, and one of the cleanest players in NHL history. 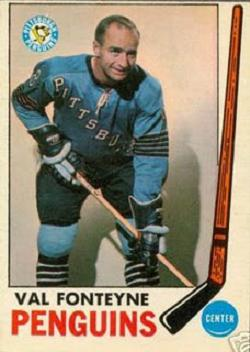 In 820 career games for the Wings, Rangers and Penguins, Fonteyne spent a grand total of 26 minutes in the penalty box and once went 185 consecutive games without a call. 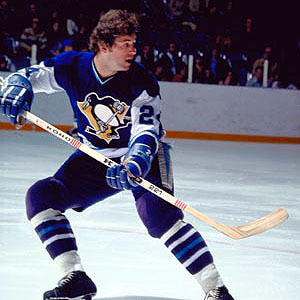 For the Penguins he appeard in 349 games, scoring 39 goals and 82 assists. DK seems to have drawn inspiration from this thread. Rylan you must have forgot this is a Penguins-only draft. No chance for Morozov to go against Brodeur. As I stated, I agree that it was strange how he was used. I feel like I'm missing something. BurghersAndDogsSports wrote: He was briefly put on Jagrs wing at some point but he was a much better RW (and by briefly I mean a handful of games). He was out of place, the coaches never seemed to like him because he wasnt a banger, which was ironic because he played on lines and in roles that required grit. Not everyone has that role, which is why teams put together actual teams, not individual talent. BurghersAndDogsSports wrote: AM started to briefly fit in as a 2nd line RW in 98 and then the Pens traded for AK27. Once that trade was made he started playing in a 3rd line role with the likes of our mediocre 3rd line centers for the late 90's and early 2000's. The coaches also liked how Rob Brown played the low post on the 2nd PP unit therefore cutting about every positive attribute of his game out of his playing time? 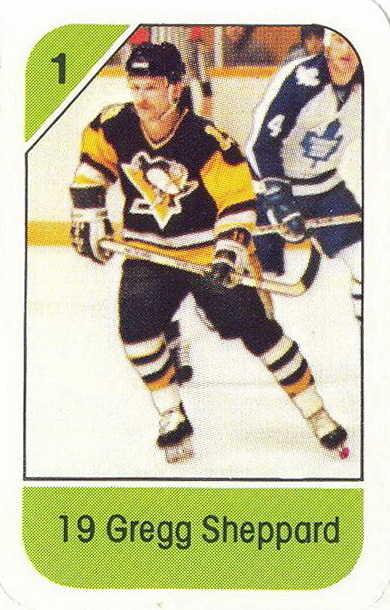 For a cash-strapped team, I'm not sure why he was only used as a "leacher" for that season...Lemieux's choice? BurghersAndDogsSports wrote: The lack of the team putting him a role he could succeed in (3rd - 4th line type duties in the playoffs, him failing and it seemed always being benched) were a huge issue with me over the years. I think people expected him to be a 90 - 100 point guy. What he was in my mind (if played in the right role), a very good 2nd line RW with PP depth potential. I think if played right he was a 60 point guy. Nothing wrong with that. BurghersAndDogsSports wrote: Again, maybe he never would have 100% panned out, but I dont think playing mostly on a line with (ill give these 2 names after your draft) as his center was very fair either. I see it this way as well. From 2001-02 to 2003-04, the only time Morozov really got 2nd line time or better...only Lemieux and Kovalev had a better points per game average among Pens (min. 100 games). He was 41st among all NHLer wingers over that same time by that same metric. I can't readily do ATOI from the numbers available, but in terms of total ice time, the only players that had less ice time but better points per game averages were: Bure (only 107 games played in the span because of injury - HHOFer), Sergei Samsonov (injured in this span as well, just 140 games in those 3 years), Eric Daze (you guessed it, he was a walking out-patient), Slava Kozlov (just 117 games in that span), Owen Nolan (just 140 games in that span also), Theoren Fleury (retired in 2003). I wonder if the maltreatment by the coaches led to Morozov's lackadaisical play. Obviously we are getting into the psychology of a player which is conjecture, but I know personally when I was constantly miscast as a player I did not perform nearly to my abilities. t-13 in Selke in 1979 (2nd year of the award, so it was still pure), frequent penalty killer, contributed consistent offense on a bad team in a depth role. Showed his playoff experience by contributing to the pretty awful teams that became cannon fodder for league powerhouses in the late 70's and early 80's by finishing t-4th, t-7th and t-3rd in team playoff scoring despite not being an elite scorer during the regular season. The two I remember most were Tyler Wright and Wayne Primeau. Although, once the playoffs began he was pretty much benched, with Jagr at his all time best dragging the likes of Hrdina and Miller around, and a Straka - Lang - Kovy (and even Titov for a year) second line there was not room for him - I get that. But his role could have been expanded. With those two lines and with the likes of the two centers mentioned, Barnaby, Corbett (and Brown picking up right wing down low PP time) Morozov had ice time limited to the defensive shut down types roles in otherwise bad matchups for him. This might be for another discussion (and I apologize for getting off of the player topic a bit) but he seemed to fall into the Craig Patrick (and/or Mario) hate category. Your draft might have been WILDLY different if we didnt dump guys we hated just because they had to nerve to negotiate a contract. - and again as far as I can tell these guys are either drafted or cant be: Smolinski and Nedved (although they were traded for value), Naslund (for whatever reason they hated him), Stu Barnes, Zubov, Glenn Murray, and it was even rumored that in the early 2000's Patrick was ready to run Orpik way out of town. If you look back at those teams (and again I understand that some were traded for good value) but we traded a lot of talent because Craig didnt like them in contract negotiating, Mario didnt like them, or they sucked here but quickly flourished for other teams. Related to this discussion I would be curious if Morozov would have been another Murray or Naslund if given the opportunity via a trade in say 2001. Your stats in the above post were pretty interesting, especially when you factor in the variable that he played on an awful awful awful awful team. A solid hockey player that always seemed to do what needed done. He was the type of gritty hockey player I like and wasn't afraid to muck it up. He was also capable of scoring on occasion (98-99 doesn't count lol). Never knew the Penguins had a female surfer play for them.